This was the second of three abridged sets issued by HMV in 1931. 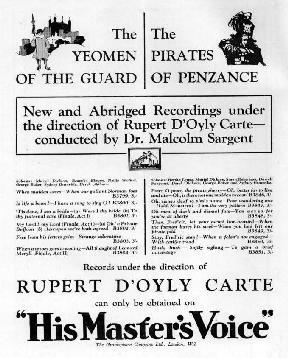 The motivation behind this one, as the abridged Yeomen, was probably to capture the voices that were missed when the 1929 Pirates was recorded. 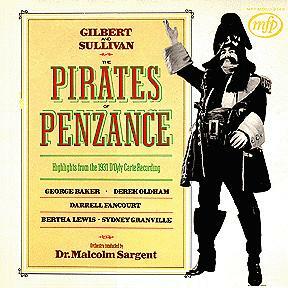 The most significant of these were Darrell Fancourt (though he would record the role again), Sydney Granville and Bertha Lewis (although only the paradox trio and her lines in the finales are included). Baker, Robertson and Oldham reprised their roles from the complete set just two years earlier. 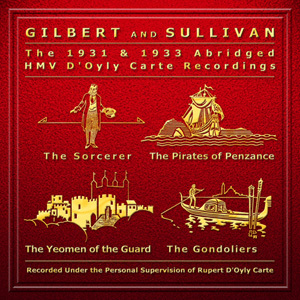 In addition, this and the other two abridged sets from 1931 were made just after the rival Columbia label made several similar recordings that, perhaps, were siphoning off business from the established D'Oyly Carte sets.